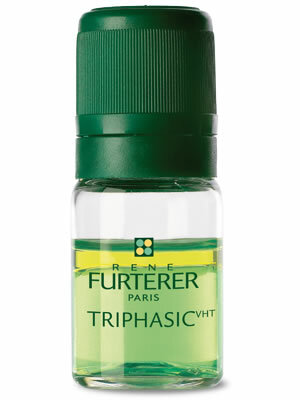 Rene Furterer Hair Loss Treatment Triphasic is a treatment dedicated to progressive thin hair. Rene Furterer Hair Loss Treatment Triphasic addresses the three factors that lead to progressive thin hair. It remedies Vascular action, intensifies microcirculation has a Hormonal action that controls an oily scalp and a Tissular action that helps protect the hair bulb.